The Defence Minister said that only four out of the 28 Russia-produced Sukhoi Su-30MKM fighters jets are able to take to the skies. Usually, a certain number of aircraft are on the ground for maintenance and servicing in relation to the total fleet. But RMAF is faced with the maintenance problems of its Sukhoi Su-30MKM and MiG-29 fighter jets. The number of serviceable aircraft dropped sharply and there is no way to quickly bring them back into the sky. To date, the RMAF had 18 Sukhoi Su-30MKM and ten Mikoyan MiG-29 fighter aircraft. “Only four of the Sukhois are able to fly well,” said Defence Minister, adding that the remaining 14 are under repair. In his reply during the motion of thanks on the royal address in Parliament Tuesday (July 31), Mohamed Sabu said the RMAF was unable to properly maintain the fighter jets’ airworthiness. He said the Defence Ministry had terminated the contractor engaged by the former administration and was looking at replacing them with local contractors. 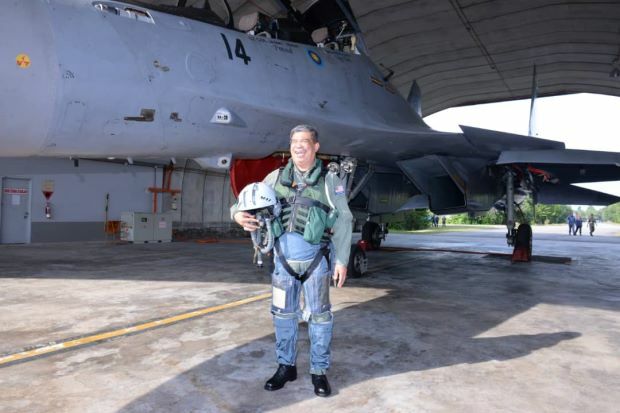 Mohamad Sabu also informed the House that the ten MiG-29 multi-role jets entered service in 1995, while six Sukhoi Su-30MKM Air-Superiority Fighter were delivered in 2007 and the remainder in 2009. Against the backdrop of problems with Russian fighters the RMAF is now seeking to expand its F-18 squadron by acquiring some second-hand F-18C/Ds. Similar problems are constantly experienced by other operators of Russian combat aircraft. In 2017, India has reported that it faced roadblocks to carrying out timely repair, overhaul and maintenance orders for the Su-30MKI fleet due to the poor supply of required spare parts. According to Flightglobal, Algeria was even forced to return 12 MiG-29SMT fighters to Russia, after refusing to accept the aircraft amid allegations of poor manufacturing quality. 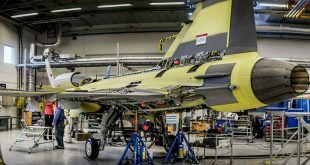 Previous Israel’s buying F-15IA instead of F-35: Do Israelis consider F-35 as a waste of money?